Cool Glow is a leading retailer of light up, glow and LED party products, based out of Irving, Texas, United States. The privately held company sells its products exclusively online, catering to both individual consumers and large bulk buyers. The business was founded in the 2000s mainly as a supplier to businesses, schools and other organizations, but found that targeting the public directly was a better sales strategy. 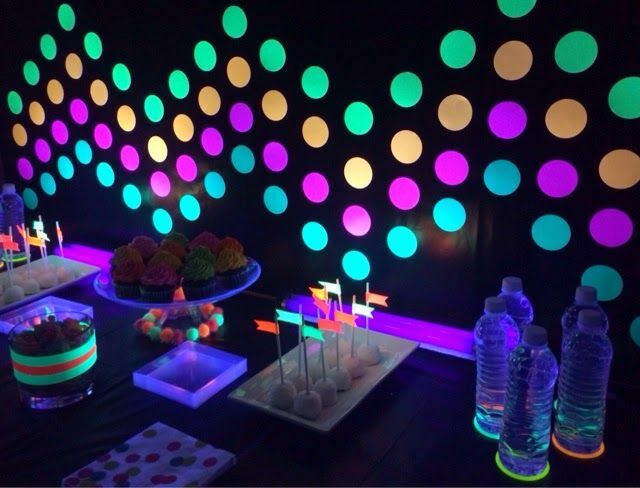 Popular items include Glow Sticks, Glow Paint, LED Guns, and themed Party Supplies. Data suggests that Cool Glow makes below $1 million in yearly revenue, with a spike in business for holidays like Halloween. The Cool Glow online store organizes its inventory in to the following categories, though you can also use the search bar if you know exactly what you want. Party Supplies: Themes from Football to Pirates, with products such as Balloons, Servingware, Candy, Decorations, Clappers, and much more. LED: Candles, Decorations, Apparel, Jewelry, Props, Drinkware, Hats, Wigs, and much more. You can also purchase custom banners, decorations, and party invitations. Depending on what's available at the time you might be able to use a Cool Glow coupon for all items or specific items only. When you spend over $99 in one order customers will also receive a free gift. Prior to online payment you will see a special promo box where you can enter a Cool Glow coupon code. 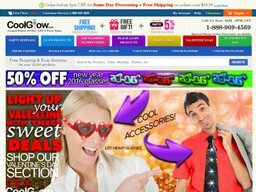 Cool Glow offer several free shipping offers for US customers. You can get Standard Shipping for free on all orders over the value of $38.99. Then orders over the value of $65 qualify fore free UPS or FedEx Ground Shipping. You do not to use a Cool Glow promo code to qualify. Outside of these offers you should add items to your basket, enter a delivery address, and choose the shipping option, in order to calculate the full cost. Cool Glow aim to dispatch all orders within 48 hours. While you will be able to return items within 30 days of the original purchase date, the products will also be subject to a 15% restocking fee that will need to be paid if you’re asking for a refund. You will also have to cover all outbound and return shipping costs, unless you received your order in a damaged or defective state, or they sent the wrong items. Before sending anything back you must contact customer support for an authorization number.